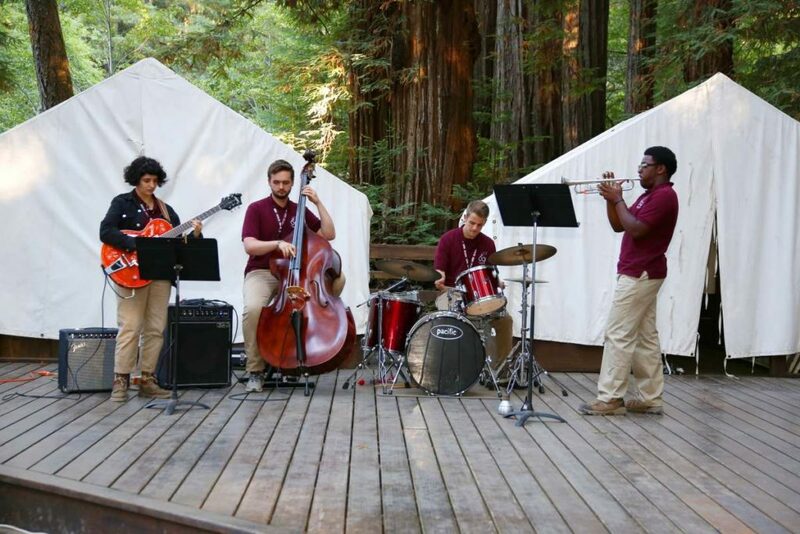 Each year Cazadero seeks talented and dedicated people to join our Summer Music Camp staff. We invite guest conductors and music faculty to be part of the team along with music instructors, counselors, counselors-in-training, kitchen staff and maintenance crews. Summer job opportunities are posted below. 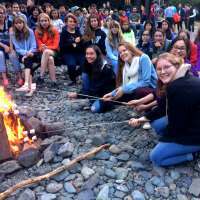 All Summer employees are required to live on-site with room and board provided by Cazadero Music Camp. To apply for summer employment, please complete our online Camp Staff Application. The deadline to apply is February 15, 2019. Thank you for your interest in working at Cazadero Music Camp. For more information contact our Camp Director Jim Mazzaferro at Jim@Cazadero.org, or our Executive Director Emily Wainacht at ExecDir@Cazadero.org or 510-527-7500. Interviews are scheduled for March with applicants notified in early April. Please note that we usually receive more applications from qualified candidates than we have positions to fill. Under supervision of Artistic Director you will facilitate all phases of the music program. Principal staff person will be responsible to visiting guest conductors. 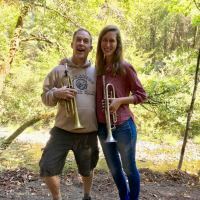 You will lead instrumental sectionals, coach chamber music ensembles, teach electives such as theory or jazz improvisation, and provide supervision to music instructors, counselors and counselors-in-training. Lead instrument clinics in all sessions. Perform with camp orchestra, concert band, jazz ensemble, and/or chorus as well as faculty chamber ensembles. You must be an experienced professional musician/teacher, able to forego part of a normal summer schedule of teaching and performing. Audition required. Under supervision of Faculty and Artistic Director, you will assist in all phases of the camp program. You will coach music ensembles and sectionals, teach electives such as theory or jazz improvisation as qualified. Perform with camp orchestra, concert band, jazz ensemble, and/or chorus as well as faculty chamber ensembles. Must be at least an upper-division college student (college graduate preferred) and possess a high degree of musical ability. Music Instructors will be asked to serve as Counselors during two-week sessions and will assist with non-musical activities. Audition required. Current Red Cross Lifeguard Certificate is desirable. Under supervision of Camp Director, you will manage Counselors and Recreation Assistant, and coordinate all aspects of camper care, activities and supervision. Attend to campers with homesickness and other problems, and acts as camp liaison to parents . Must have understanding of age-appropriate recreational activities, and demonstrated leadership, camp counseling, and communication experience. Coordinate and assign staff to recreation duties, plan and coordinate special recreation activities. Schedule pool lifeguard duties. Valid driver’s license with good driving record required; must possess an functional and insured vehicle. Must be 25 years of age or older. 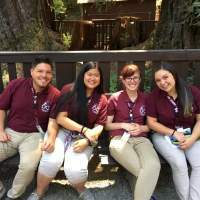 Staff experience at Cazadero Performing Arts Camp, musical or stage background plus a current American Red Cross Lifeguard and CPR certificate; arts and crafts experience preferred. Under direction of senior staff, you will provide 24-hour supervision to a counseling unit of approximately 12 children (with the assistance of a Counselor-in-Training). Coach music ensembles and sectionals; perform with camp orchestra, concert band, jazz ensemble, and/or chorus. Assists in recreational and social activities of camp; gives guidance to assigned Counselor-in-Training. Must be high school graduate (preference is generally given to college students) and proficient in at least one musical instrument, and must have participated in school performing ensembles. Current American Red Cross Lifeguard Certificate is desirable. Audition required. Assist Counselor in the 24-hour supervision of a counseling unit of approximately 12 children; under guidance of senior staff and Counselors, the Counselor-in-Training helps coach music ensembles and sectionals, and performs with camp orchestra, concert band, jazz ensemble, and/or chorus. You will assist in recreational and social activities of camp. Must be at least 15 years of age or finishing Sophomore year in High School, and proficient in at least one musical instrument. Current American Red Cross Lifeguard Certificate is desirable. Audition required. Under supervision of two Deans and an Artistic Director; you will implement camp activities/entertainment program and manage the stage. You will be responsible for directing stage operations at all camp performances, including sound, lighting, and set-up transitions between performing ensembles. Must demonstrated experience with operations of basic sound, lighting, and A/V equipment required. Valid driver’s license with good driving record required, current American Red Cross Lifeguard and CPR certificates preferred. Arts and crafts experience and background in musical and stage management preferred. Under supervision of Camp Director, provides emergency medical treatment to campers and staff, administers medicine and shots prescribed by a doctor, selects and purchases supplies for infirmary, prepares accident reports, checks and files camper medical records. Consults with Deans and Counselors as necessary. Must have a Registered Nurse License issued by the State of California, or be a certified EMT with the State of California and have a valid driver’s license. $550 – $750 per week depending on experience. Under supervision of Camp Director, you will be responsible for all aspects of the camp office, manage the camp store, camp bank, and report daily transactions to Berkeley office. Must have word processing skills and be able to use PC or Macintosh; you must have musical background. Must have cash handling experience and experience in filing and bookkeeping. Under supervision of Office Manager and Camp Director , you will participate in a variety of duties including camp hospitality, camp store, office, recreational activities, and if qualified, in musical and artistic areas as needed. Must be at least 16 years of age with good organizational and people skills. Lifesaving or CPR training, computer skills, desirable. Some participation in musical activities if schedule allows. Under supervision of Head Chef, assists in preparation of all camp meals. Relieves Chef on his/her days off. Must have experience in large-scale food preparation. Must understand principles of sanitation and proper food handling. Under supervision of Head Chef and Lead Cook, assists in preparation of all camp meals. Must have experience in large-scale food preparation. Must understand principles of sanitation and proper food handling. Under supervision of Head Chef, serves as dining room host, oversees service of meals and snacks, and supervises Food Service Assistants. Must be a high school graduate with two or more years of college preferred. May be called upon to serve in other camp activities as needed. Must be experienced in safe and proper food handling. Strong leadership skills are necessary. Food service management experience preferred. Under supervision of Head Chef and Dining Room Manager, performs a variety of duties including setting up tables, serving meals, clean up of dining hall and/or kitchen. Other duties may include food preparation as needed. Safe use of cleaning agents and devices as well as safety equipment will be taught and enforced . May be called upon to serve in camp activities, such as lifeguard, as needed. Food service experience, performing arts experience and current American Red Cross Lifeguard and CPR certificates are desirable. Under supervision of Camp Facilities Manager, assists in all phases of camp maintenance and construction. Must be 18 years of age with a valid driver’s license and a good driving record. Occasional moving and lifting of potentially heavy containers and materials. Must be able to take directions and work independently. Performs housekeeping functions as necessary. General knowledge of maintenance and repair skills is necessary. Pool maintenance experience, current American Red Cross Lifeguard and CPR certificates desirable. $12-$13 per hour depending on experience.